A term for these kinds of instruments in central parts of Africa that are sometimes made from oil or gas cans. This sanza was made by adapting a Hugh Tracey kalimba. 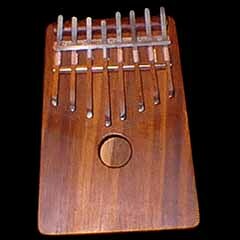 In Western popular music, terms such as sanza, kalimba, and mbira are often used generically to indicate a general kind of instrument rather than a specific traditional African instrument. 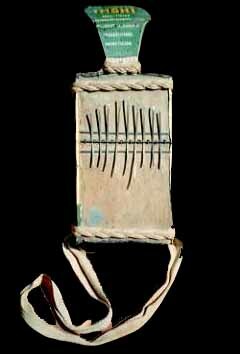 The sanza pictured below is from Sierra Leone (traditionally known as kondi) and was the instrument that the late Collin Walcott (1945-1984) used with the groups Codona and Oregon. Walcott used the term "sanza" generically and tuned & played in a more personal or creative style.